Tickets go on sale July 4th for this fun and rowdy Fundrasier! The Historical Haunted Tour is always a sell-out event! Sign up for the Trails & Vistas E Newsletter and get FIRST announcements of ticket discounts and first availability of the 2019 Truckee Historical Tour tickets and the Trails & Vistas art hike tickets. 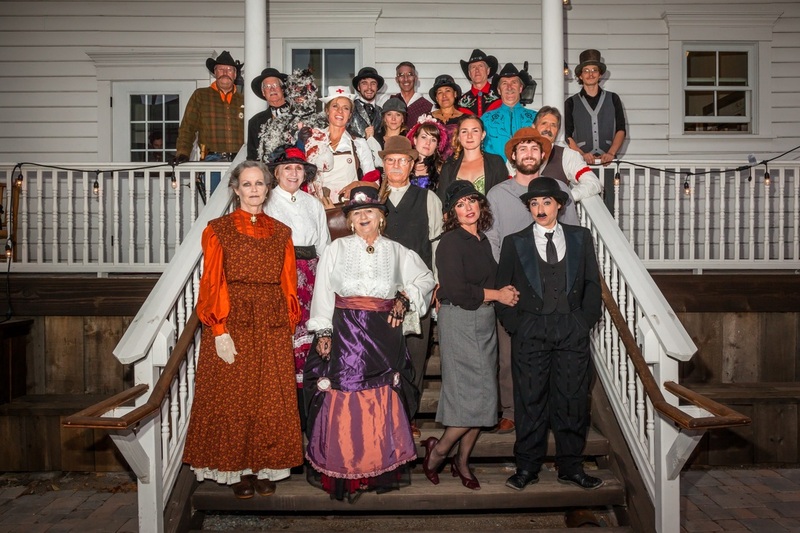 2019 Truckee’s Historical Haunted Tour is produced by the arts nonprofit of Trails & Vistas. 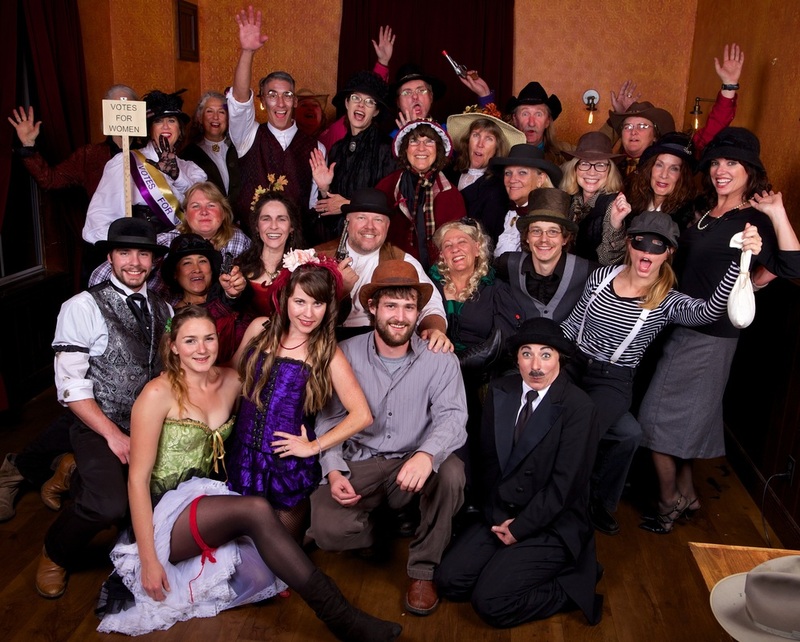 Thank you to the event coordinator Maria Jones and all of the volunteer actors, basecamp characters, and storytelling guides that make this the best fun-raiser in all the West! 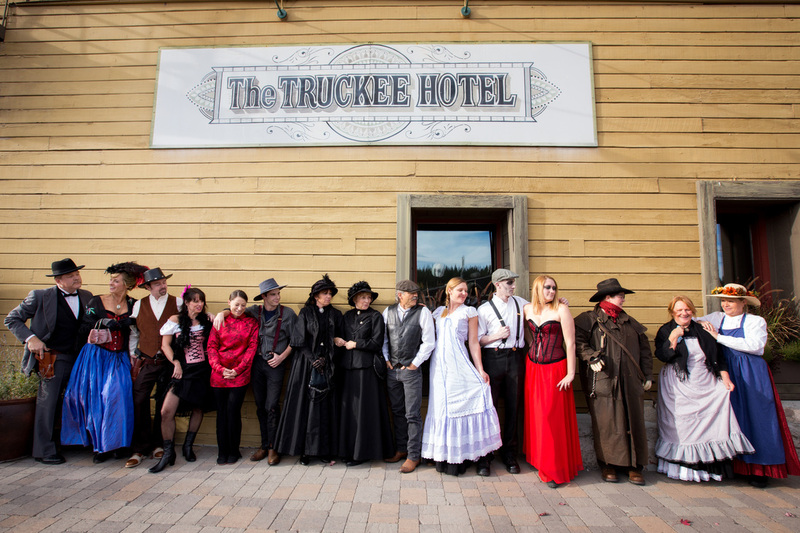 Truckee's Historical Haunted Tour benefits the arts and culture of Truckee Tahoe, including the Art in Nature Dreaming Tree Field Trips for local 3rd grade students. ​Richardson House Bedroom – Truckee’s Emergency Hospitals during the devastating Spanish Flu outbreak. ​Richardson House Dining Room – Richardson Brothers, Warren and George, talk of their accomplishments and inventions. ​Art Truckee (The Old Courthouse) – Trial of the 1st murder in Truckee. Guests are the jury. 2014 Tour Performers, photo compliments of event sponsor, Johnstone Studios. Each year the highly anticipated performances take place in new featured haunts. Our script writer, Cayman Levonian, has skillfully weaved together dramatic hauntings and downright funny stories inspired by times of yore. The Historic Tour is complete with treats and tricks. Founder of the Historical Tour: Christina Stoever Young, bottom left, with Misty and Gary Young of Squeeze In & Friends. The Squeeze In's History: In 1974, a tiny little kitchen started selling omelettes to locals and tourists in historic downtown Truckee California. At just 10 feet, 3 inches wide, and with only 39 seats, guests would literally have to ‘squeeze in’ to enjoy their breakfast at the little restaurant. As the list of omelette options grew, so did the popularity of the restaurant, and by the mid 80s it was considered a true Truckee institution.